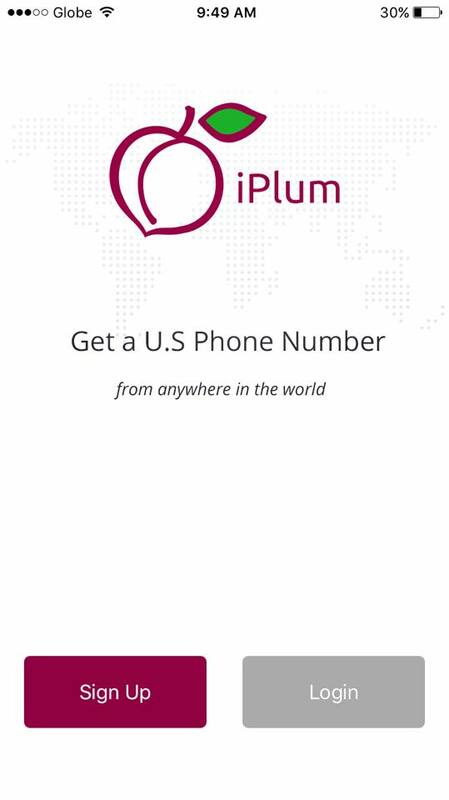 Introducing iPlum – a new app designed for iOS and Anroid devices that allows you to call and text anyone in the US directly on their landline or mobile number when you are from overseas without international calling or roaming charges. Using this app, they will provide you a "dummy" number (I called it dummy because it will let you to have a US phone number) and you can use it everywhere around the world. How cool is that?! 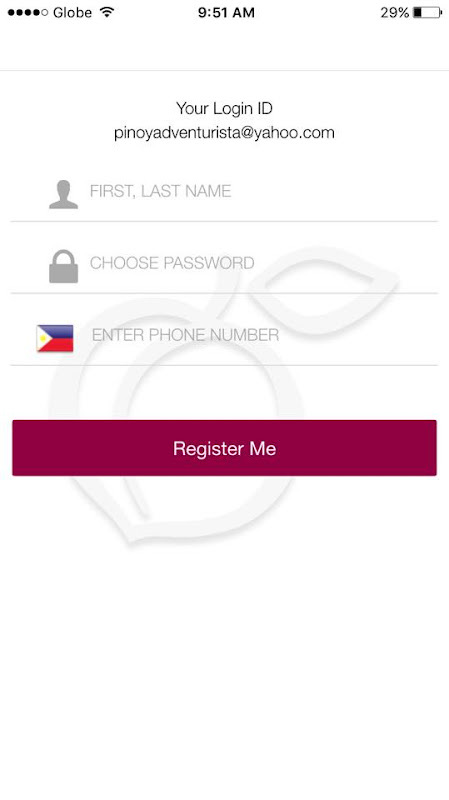 How to Register with iPlum App? 1. 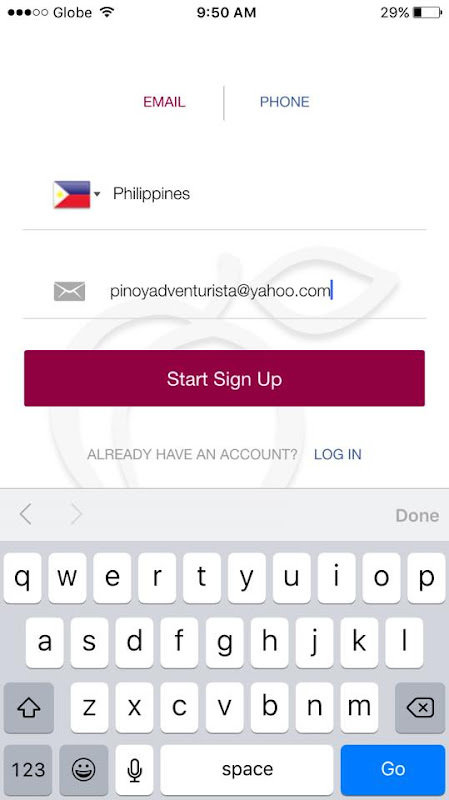 Go to Google Play or Apple Store to download and install the iPlum App for free. 6. Start using iPlum App! 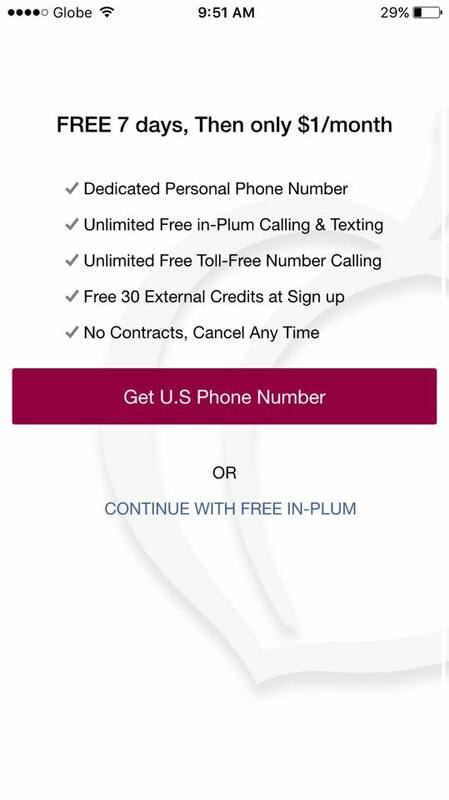 iPlum phone number is free for 7 days and you can sign up for a 1 dollar per month subscription to keep the number. 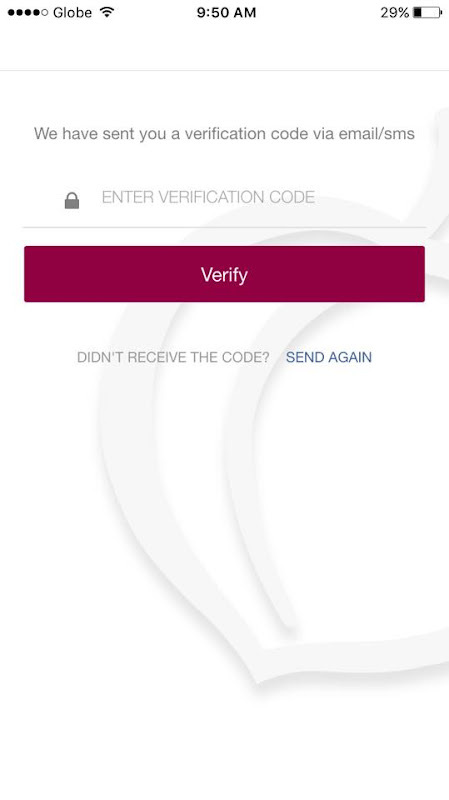 Why you should install the iPlum App? 1. 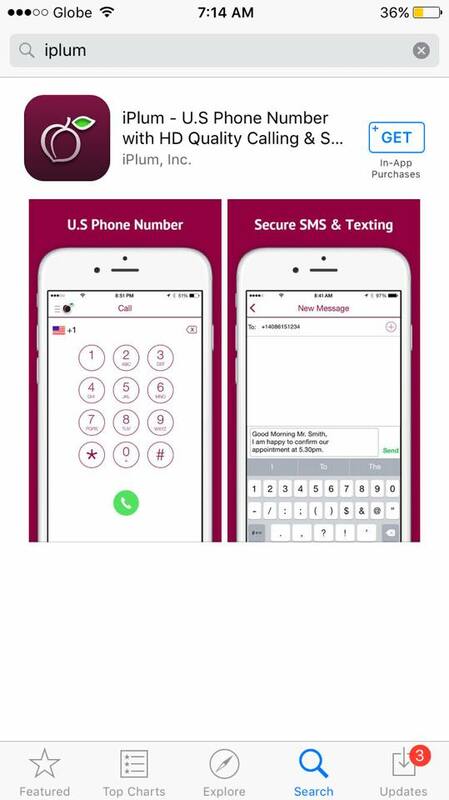 Having this app, you can receive and send messages just like having an ordinary US number. We all know that international call and text hurts a little and quiet expensive, and that’s why iPlum is to the rescue. Get rid of those roaming charges and say hello to a longer conversation. Using this app, they will only charge you 1 cent per minute or SMS. Yeah, 3 hours of uninterrupted call for less than 2 dollars. That’s a big difference! All you have to do is install the app, add an iPlum number to your tablet and voila! You can now use your tablet for incoming and outgoing calls or SMS. This app will give you a full-feature of calling and texting for iPads and Android tablets. Rest assured that all your messages, information, credentials and attachments are safe and secured. They have a built-in AES data encryption with strong keys established by peer-to-peer negotiation so you don’t need to worry about your safety. Especially to those who are using the app for legal and business purposes. The iPlum claims that their app is engineered for adapting to available data rates and latency of a broad range of Wi-Fi or cellular channels. Meaning, the app will consume low bandwidth, and can be used even with your regular 3G. Rest assured that you can still experience HD quality calling with low bandwidth usage. That’s a huge relief specially when you are having poor signal. So that’s it. 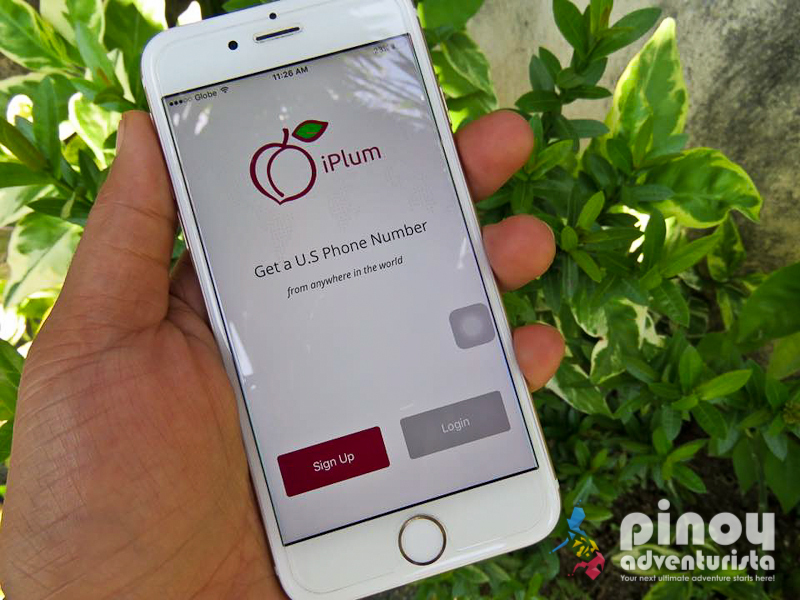 Install your iPlum now and experience great deals and unlimited subscriptions for a low cost. Spread the news, and don’t let roaming charges be a barrier for better communication. For more information about iPlum, please visit their website www.iplum.com. Note: This is an advertorial post.